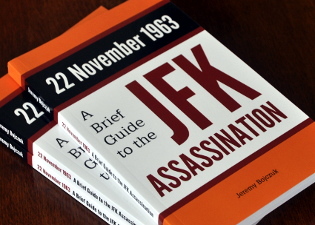 Find out more in the book, a readable and fully referenced account of the JFK assassination. About 40 witnesses to the assassination of President Kennedy claimed either to have heard gunshots from the infamous grassy knoll in the northwest corner of Dealey Plaza, or to have seen smoke or smelled gunpowder in that area. Several of these witnesses were interviewed by newspaper, radio and television reporters immediately after the assassination. The interviews were influential in generating doubt about the lone–gunman theory. Many other interviews have been carried out in the years since the assassination, almost all of them by private researchers. Examination of photographs and home movies suggests that there were perhaps as many as 600 people in Dealey Plaza at the time of the assassination. Official interviews or statements exist for around 200 of these witnesses. 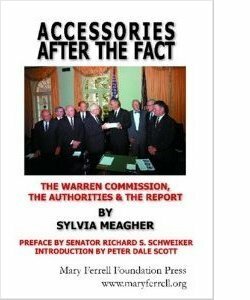 Because the Warren Commission did no investigation of its own, almost all of the witnesses who testified before the Commission were chosen from those who had already made official statements. The other 400 or so, including many of the spectators nearest to the president, were never interviewed officially at all. Few of these missing witnesses were identified, even when the authorities had been informed of their existence ( Warren Commission Hearings , vol.15, pp.525f). In many cases, the witnesses appear not to have been asked about the origin of the shots. Of those who were asked, probably a small majority claimed that the shots came from the general direction of the Texas School Book Depository. A handful of people claimed to have heard shots from both directions. Many had no opinion. 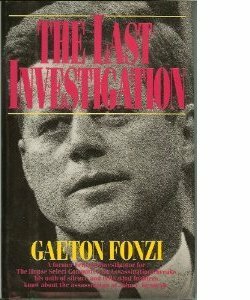 and interviews by the Warren Commission’s staff attorneys several months after the assassination. None of the official evidence became publicly available until the Warren Commission’s Hearings and Exhibits were issued in November 1964. Some of it was not published at all, but was placed in the National Archives, and was only discovered at a later date. Access to the evidence was not helped by the fact that the witnesses’ statements and testimony were scattered throughout many of the 26 volumes of the Hearings and Exhibits . Emmett Hudson, the only man identified out of the three standing on the steps leading up to the fence on the grassy knoll, claimed that all the shots came from the general direction of the TSBD (see Warren Commission Hearings , vol.7, p.560 and p.564; his earliest statements, however, are ambiguous). Buell Wesley Frazier, Billy Lovelady and Otis Williams, three men who were standing on the front steps of the TSBD, directly underneath the supposed sniper’s nest, claimed that all the shots came from the general direction of the knoll. Charles Brehm, who had an excellent view of the assassination, either changed his mind or was misquoted. He was reported in the Dallas Times Herald on the evening of 22 November as thinking that “the shots came from in front of or beside the President.” The FBI two days later stated that “it seemed quite apparent to him that the shots came from one or two buildings back at the corner of Elm and Houston Streets” ( Warren Commission Hearings , vol.22, p.837). Arnold Rowland thought the shots had come from the knoll, despite already having seen a man in the southwest window of the sixth floor of the TSBD, holding a gun ( Warren Commission Hearings , vol.2, pp.171–3). Kenneth O’Donnell and David Powers nominated the TSBD in their testimony, but believed in private that shots had come from the knoll. Several other witnesses gave statements that may be interpreted as evidence of shots from the grassy knoll. Four witnesses of varying degrees of credibility, Gordon Arnold, Cheryl McKinnon, Lee Bowers, and Ed Hoffman, also claimed to have experienced shots or other sinister activity on the grassy knoll. For online images and maps of Dealey Plaza, see the Mary Ferrell Foundation website. A plan of Dealey Plaza with the locations of known witnesses can be found in Josiah Thompson, Six Seconds in Dallas: A Micro–Study of the Kennedy Assassination , Bernard Geis Associates, 1967, pp.252f. 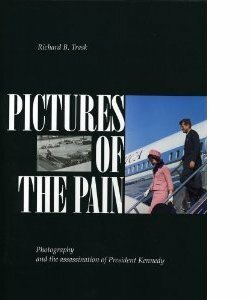 For an illustrated identification of witnesses in photographs of the assassination, see Les Témoins de Dealey Plaza, which contains links to the witnesses’ testimony; although it is in French, it can be easily understood by those who don’t read the language. Victoria Adams was watching the motorcade from a window on the fourth floor of the Texas School Book Depository. She believed the sound came from toward the right of the building, rather than from the left and above as it must have been according to subsequent information disseminated by the news services. It seemed as if it came from the right below rather than from the left above. Danny Arce, a colleague of Lee Oswald, was on the north side of Elm Street, near the TSBD. To the best of my knowledge there were three shots and they came from the direction of the railroad tracks near the parking lot at the west end of the Depository Building. Where did you make out the direction of the sound? Yeah, I thought they came from the railroad tracks to the west of the Texas School Book Depository. Now, it sounded to you that the shots came from what direction? From the tracks on the west deal. Did you look back at the building? No, I didn’t think they came from there. I just looked directly to the railroad tracks and all the people started running up there and I just ran along with them. Virginia Rackley, who got married shortly after the assassination, was standing on the north side of Elm Street close to the main entrance to the TSBD. Rackley stated that she did not look up at the Texas School Book Depository building since she did not think that the sounds were coming from that building. Did you have any idea where they [the shots] were coming from? Well, the way it sounded — it sounded like it was coming from — there was a railroad track that runs behind the building — there directly behind the building and around, so I guess it would be by the underpass, the triple underpass, and there is a railroad track that runs back out there. And you say there are some railroad tracks back in there; is that right? Immediately behind Dealey Plaza away from Elm Street? And is that where you thought the shots came from? Jane Berry was standing on the north side of Elm Street a few yards west of the TSBD. Everyone was very excited and no one seemed to know where the shot had come from. It sounded as if it had been fired from a position west of where she was standing. Charles Brehm was standing with his wife and young son on the south side of Elm Street, just a few yards from President Kennedy at the moment of the fatal shot. Brehm seemed to think the shots came from in front of or beside the President. He explained the President did not slump forward as he would have after being shot from the rear. The book depository building stands in the rear of the President’s location at the time of the shooting. Ochus Campbell, the vice–president of the Texas School Book Depository Company, was standing with Roy Truly on the north side of Elm Street, about 30 feet from the front entrance to the TSBD. Campbell says he ran toward a grassy knoll to the west of the building, where he thought the sniper had hidden. Mr. CAMPBELL advised he had viewed the Presidential Motorcade and subsequently heard the shots being fired from a point which he thought was near the railroad tracks located over the viaduct on Elm Street. I heard shots being fired from a point which I thought was near the railroad tracks located over the viaduct on Elm street. I … had no occasion to look back at the Texas School Book Depository building as I thought the shots had come from the west. Faye and John Chism were standing close to the Stemmons Freeway sign on the north side of Elm Street. It came from what I thought was behind us. I looked behind me, to see whether it was a fireworks display or something. And then I saw a lot of people running for cover, behind the embankment there back up on the grass. On hearing the second shot he definitely knew the first was not a firecracker and was of the opinion the shots came from behind him. Elkins was standing close to the crossroads at Main Street and Houston Street. I immediately ran to the area from which it sounded like the shots had been fired. This is an area between the railroads and the Texas School Book Depository which is east of the railroads. Fischer was standing on the southwest corner of the crossroads at Houston Street and Elm Street, just opposite the TSBD. Where did the shots appear to be coming from? They appeared to be coming from just west of the School Book Depository Building. There were some railroad tracks and there were some railroad cars back in there. And they appeared to be coming from those railroad cars? Frazier, who had driven Oswald to work that morning, was standing on the front steps of the TSBD. Now, then, did you have any impression at that time as to the direction from which the sound came? Well to be frank with you I thought it come from down there, you know, where that underpass is. There is a series, quite a few number of them railroad tracks running together and from where I was standing it sounded like it was coming from down the railroad tracks there. Garner was watching the motorcade from a fourth–floor window of the TSBD. I thought at the time the shots or reports came from a point to the west of the building. Jean Hill was standing on the south side of Elm Street, just a few yards from President Kennedy as he was shot in the head. Mrs. Hill stated she heard from four to six shots in all and believes they came from a spot just west of the Texas School Book Depository Building. I didn’t realize that the shots were coming from the building. I frankly thought they were coming from the knoll. Why did you think they were coming from the knoll? That was just my idea where they were coming from. Would you draw the knoll on the picture, where you mean by the knoll? This area in front of the Book Depository — it’s right here. Just draw me a circle as to where you had a general impression the shots were coming from. Now, did you have a conscious impression of the source of the first shot that you heard, that is, where it came from? Well, evidently I didn’t because the only conscious recollection I have of that … I had always thought that they came from the knoll. … As I said, I thought they were coming from the general direction of that knoll. You just had the general impression that shots were coming from the knoll? Sam Holland was standing on the railway bridge known as the triple underpass, at the west end of Dealey Plaza. When they got just about to the Arcade I heard what I thought for the moment was a fire cracker and he slumped over and I looked over toward the arcade and trees and saw a puff of smoke come from the trees and I heard three more shots after the first shot but that was the only puff of smoke I saw. … But the puff of smoke I saw definitely came from behind the arcade through the trees. HOLLAND stated that he looked toward the fence to his left to observe anyone that he might see running from this fence but saw no one. The only unusual thing that HOLLAND could recall was an approximate one and one–half to two foot diameter of what he believed was gray smoke which appeared to him to be coming from the trees which would have been on the right of the Presidential car but observed no one there or in the vicinity. I counted four shots and about the same time all this was happening, and in this group of trees — [indicating]. Now, you are indicating trees on the north side of Elm Street? These trees right along here [indicating]. Let’s mark this Exhibit C and draw a circle around the trees you are referring to. Right in there. [Indicating.] … And a puff of smoke came out about 6 or 8 feet above the ground right out from under those trees. And at just about this location from where I was standing you could see that puff of smoke, like someone had thrown a fire–cracker or something out, and that is just about the way it sounded. … There were definitely four reports. You have no doubt about that? I have no doubt about it. I have no doubt about seeing that puff of smoke come out from under those trees either. The shots snapped out in the brisk, clear noon air. The caravan kept wheeling on, picking up speed. Some of the White House reporters yelled for the bus driver to stop. He kept on going, heading toward the Stemmons Expressway. Some of us saw little puffs of white smoke that seemed to hit the grassy area in the esplanade that divides Dallas’ main downtown streets. Kounas was standing on the south side of Elm Street, opposite the TSBD. It sounded as though these shots were coming from the Triple Underpass. … She stated it did not sound like the shots were coming from that [TSBD] direction but rather from the Triple Underpass. Although I was across the street from the Depository building and was looking in the direction of the building as the motorcade passed and following the shots, I did not look up at the building as I had thought the shots came from a westerly direction in the vicinity of the viaduct. Paul Landis was a Secret Service agent in the car immediately behind President Kennedy’s car. My reaction at this time was that the [fatal] shot came from somewhere towards the front. Lovelady was standing on the front steps of the TSBD. A famous photograph by James Altgens showed a man who resembled Lee Oswald in the doorway during the assassination; it is now generally agreed that the man was in fact Lovelady, not Oswald. For details, see Was Oswald on the TSBD Front Steps? I heard several loud reports which I first thought to be firecrackers and which appeared to me to be in the direction of Elm Street viaduct just ahead of the Motorcade. I did not at any time believe the shots had come from the Texas School Book Depository. Where was the direction of the sound? Right there around that concrete little deal on that knoll. That’s where it sounded to you? Between the underpass and the building right on that knoll. Miller was standing with other railway employees on the Triple Underpass. I saw something which I thought was smoke or steam coming from a group of trees north of Elm off the Railroad tracks. Where did the shots sound like they came from? Well, the way it sounded like, it came from the, I would say from right there in the car. Would be to my left, the way I was looking at him over toward that incline. I was standing on the North side of Elm Street, about half way between Houston and the Underpass. … I heard three shots come from up toward Houston and Elm right by the Book Depository Building, and then immediately I heard two more shots come from the Arcade between the Book Store and the Underpass, and then three more shots came from the same direction only sounded further back. Mooney, a deputy sheriff, was standing on Main Street, on the edge of Dealey Plaza. He was one of the officers who found the rifle hidden under boxes on the sixth floor. Why did you go over to the railroad yard? Well, that was — from the echo of the shots, we thought they came from that direction. Murphy was standing on the Triple Underpass. MURPHY said in his opinion these shots came from a spot just west of the Texas School Book Depository Building. Jean Newman was standing on the north side of Elm Street, between the TSBD and the knoll. The first impression I had was that the shots came from my right. She stated that when she realized the reports were shots she immediately turned and looked up the hill to the North toward the parking lot but did not see anything. William Newman (no relation to Jean Newman) was also standing on the north side of Elm Street, a little further along toward the knoll. I thought the shot had come from the garden directly behind me, that was on an elevation from where I was as I was right on the curb. I do not recall looking toward the Texas School Book Depository. I looked back in the vacinity [sic] of the garden. Two members of the White House staff, Kenneth O’Donnell and David Powers, were travelling in the Secret Service car immediately behind President Kennedy’s car. O’Donnell testified that the shots came from the rear ( Warren Commission Hearings , vol.7, p.448). Powers agreed, but added that “I also had a fleeting impression that the noise appeared to come from the front in the area of the triple overpass” ( ibid. , p.473). I was never one of those people who had doubts or suspicions about the Warren Commission’s report on the president’s death. 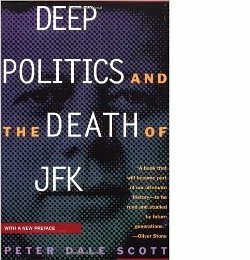 But five years after Jack died, I was having dinner with Kenny O’Donnell and a few other people at Jimmy’s Harborside Restaurant in Boston, and we got to talking about the assassination. I was surprised to hear O’Donnell say that he was sure he had heard two shots that came from behind the fence. “That’s not what you told the Warren Commission,” I said. Dave Powers was with us at dinner that night, and his recollection of the shots was the same as O’Donnell’s. Kenny O’Donnell is no longer alive, but during the writing of this book I checked with Dave Powers. As they say in the news business, he stands by his story. Parker was standing directly opposite the main entrance to the TSBD. The shot sounded to her as though it had come from a cement memorial building to the north of the Texas School Book Depository on Elm Street. She looked in that direction but saw nothing that she could relate to the shot. During this time, she heard two additional shots and in looking around, glanced at the Texas School Book Depository building which was directly across Elm from her. Reilly was standing with other railway workers on the railway bridge at the west end of Dealey Plaza. He saw two cars turn on Elm toward the underpass and at this time heard three shots which he thought came from the trees west of the Texas School Book Depository. Where did they seem to come from; what direction? It seemed to me like they come out of the trees. On the north side of Elm Street at the corner up there. On the north side of Elm — on what corner? Well, where all those trees are — you’ve never been down there? Yes: I’ve been there, but you tell me — I want you to tell me because it has to go on the record here and it has to be in writing. Well, it’s at that park where all the shrubs is up there — it’s to the north of Elm Street — up the slope. Arnold Rowland was standing on the east side of Houston Street, facing the TSBD. Did you have any impression or reaction as to the point of origin when you heard the first noise? Well, I began looking, I didn’t look at the building mainly, and as practically any of the police officers there will tell you, the echo effect was such that it sounded like it came from the railroad yards. That is where I looked, that is where all the policemen, everyone, converged on the railroads. Now, as to the second shot, did you have any impression as to the point of origin or source? The same point or very close to it. And how about the third shot? Very close to the same position. After the shots occurred, did you ever look back at the Texas School Book Depository Building? No; I did not. In fact, I went over toward the scene of the railroad yards myself. Why did you not look back at the Texas School Book Depository Building in view of the fact that you had seen a man with a rifle up there earlier in the day? I don’t remember. It was mostly due to the confusion, and then the fact that it sounded like it came from this area “C”, and that all the officers, enforcement officers, were converging on that area, and I just didn’t pay any attention to it at that time. Edgar Smith, a police officer, was standing on Houston Street, near the junction with Elm Street. I thought when it came to my mind that there were shots, and I was pretty sure there were when I saw his car because they were leaving in such a hurry, I thought they were coming from this area here, and I ran over there and back of it and, of course, there wasn’t anything there. You thought the shot came from this little concrete structure up behind No. 7? Toward the railroad tracks there? Like his fellow police officer, Edgar Smith, Joe Marshall Smith (no relation) was at the corner of Elm Street and Houston Street. [T]he reporter calling stated he had interviewed Patrolman J. M. Smith who advised that he definitely distinguished the aroma of gunpowder near the underpass. … He stated he did smell what he thought was gunpowder but stated this smell was in the parking lot by the TSBD Building and not by the underpass. He advised he never at any time went to the underpass and could not advise if there was the smell of gunpowder in the underpass. I heard the shots and thought they were coming from bushes of the overpass. Did you have any basis for believing where the shots came from, or where to look for somebody, other than what the lady told you? No, sir; except that maybe it was a power of suggestion. But it sounded to me like they may have came from this vicinity here. Down around the — let’s put a No. 5 there [on Commission Exhibit 354] at the corner here behind this concrete structure where the bushes were down toward the railroad tracks from the Texas School Book Depository Building. Now you say that you had the idea that the shots may have come from up in that area? Yes, sir; that is just what, well, like I say, the sound of it. Forrest Sorrels, a Secret Service agent, was in the car immediately following the presidential car. James Tague, the third man wounded in Dealey Plaza, was standing close to the point where Commerce Street meets Main Street, by the triple underpass. Did you have any idea where these shots came from when you heard them ringing out? Yes; I thought they were coming from my left. Immediately to your left, or toward the back? Of course, now we have other evidence that would indicate that the shots did come from the Texas School Book Depository, but see if we can disregard that and determine just what you heard when the shots were fired in the first place. Your impression of where the shots came from was much the result of the activity near No. 7 [on Commission Exhibit 354]? Not when I heard the shots. You thought they had come from the area between Nos. 7 and 5? I believe they came from up in here. Back in the area “C”? Behind the concrete monument here between Nos. 7 and 5, toward the general area of “C”? Roy Truly, a director and the superintendant of the Texas School Book Depository, was standing with Ochus Campbell on the north side of Elm Street, close to the TSBD. Shortly afterwards, he encountered Lee Oswald in the canteen on the second floor of the TSBD. Where did you think the shots came from? I thought the shots came from the vicinity of the railroad or the WPA project [the concrete structure], behind the WPA project west of the building. Weatherford, a deputy sheriff, was standing outside the Criminal Court building on Main Street. I heard a loud report which I thought was a railroad torpedo, as it sounded as if it came from the railroad yard. Thinking, this was a heck of a time for one to go off, then I heard a 2nd report which had more of an echo report and thought to myself, that this was a rifle and I started towards the corner when I heard the 3rd report. By this time I was running towards the railroad yards where the sound seemed to come from. Weitzman was one of the police officers who discovered the rifle on the sixth floor of the TSBD. At the time of the shooting, he was on the corner of Main Street and Houston Street. I ran in a northwest direction and scaled a fence towards where we thought the shots came from. Williams was standing on the front steps of the TSBD. Just after the Presidential car passed the building and went out of sight over the Elm Street embankment I heard three loud blasts. I thought these blasts or shots came from the direction of the viaduct which crosses Elm Street. Mary Woodward, a journalist on the Dallas Morning News , was standing on the north side of Elm Street, about halfway between the TSBD and the grassy knoll. She wrote about her experience in the following day’s paper. Suddenly there was a horrible, ear–shattering noise coming from behind us and a little to the right. United States Attorney H. BAREFOOT SANDERS, Dallas, Texas, telephonically advised ASAC KYLE G. CLARK on December 5, 1963, that a reporter for the Dallas “Morning News”, name unrecalled, had advised him that four of the women working in the Society Section of the Dallas “Morning News” were reportedly standing next to Mr. ZAPRUDA [sic] when the assassination shots were fired. According to this reporter, these women, names unknown, stated that the shots according to their opinion came from a direction other than from the Texas School Book Depository (TSBD) Building. She stated that her first reaction was that the shots had been fired from above her head and from possibly behind her. Her next reaction was that the shots might have come from the overpass which was to her right. She stated, however, because of the loud echo, she could not say where the shots had come from, other that they had come from above her head. Abraham Zapruder famously filmed the assassination from the top of a concrete pedestal on Elm Street close to the grassy knoll. According to Mr. Zapruder, the position of the assassin was behind Mr. Zapruder. I remember the police were running behind me. There were police running right behind me. Of course, they didn’t realize yet, I guess, where the shot came from — that it came from that height. As you were standing on this abutment facing Elm street, you say the police ran over behind the concrete structure behind you and down the railroad track behind that, is that right? Yes — after the shots — yes, some of them were motorcycle cops – I guess they left their motorcycles running and they were running right behind me, of course, in the line of the shooting. I guess they thought it came from right behind me. Did you have any impression as to the direction from which these shots came? No, I also thought it came from back of me. Of course, you can’t tell when something is in line — it could come from anywhere, but being I was here and he was hit on this line and he was hit right in the head — I saw it right around here, so it looked like it came from here and it could come from there. All right, as you stood here on the abutment and looked down into Elm Street, you saw the President hit on the right side of the head and you thought perhaps the shots had come from behind you? Not all of the following witnesses are equally credible, but they all crop up in various accounts of the assassination. and fell to the ground on hearing shots from behind the fence. Although the existence of the apparently bogus Secret Service agent had been mentioned 15 years earlier by witnesses such as the policemen Joe Marshall Smith and Seymour Weitzman (see Warren Commission Hearings , vol.7, p.107), there is no conclusive evidence that Arnold himself was actually in Dealey Plaza during the assassination. He is not visible in any photographs or films, and none of the witnesses on the knoll mention his presence. He did, however, receive some support from Senator Ralph Yarborough, who was riding in the motorcade. Yarborough contacted the journalist Earl Golz, who had made Arnold’s story public, and told Golz that he had seen a man fall to the ground in the way Arnold had described. Yarborough may have seen Arnold, or he may instead have seen William Newman, who certainly fell to the ground close to the grassy knoll immediately after the fatal shot. Henry Hurt, Reasonable Doubt: An Investigation into the Assassination of John F. Kennedy , Henry Holt, 1985, pp.111–3. Another possible witness whose presence in Dealey Plaza cannot be substantiated is Cheryl McKinnon, a journalism student who claimed to have been standing on the north side of Elm Street. Dealey Plaza in Dallas, Texas, is a lovely square. It sits in the heart of the downtown area [sic; Dealey Plaza is actually just to the west of downtown Dallas], a haven for those who want to enjoy their lunch under a tree on a spot of grass. On Nov. 22, 1963, I stood, along with hundreds of others, on the grassy knoll in Dealey Plaza, waiting for just one thing — a chance to see, even for just a moment, that magical person, the president, John F. Kennedy. I had prepared for days to be in the plaza. As a journalism major in school, my plans were to write a story about my experiences as a class project. Kennedy was for me the ideal of what a president should be — young and aggressive, yet thoughtful and seemingly genuinely concerned for his fellow man. As we stood watching the motorcade turn onto Elm Street, I tried to grasp every tiny detail of both President and Mrs Kennedy, “How happy they look,” I thought. Suddenly, three shots in rapid succession rang out. Myself and dozens of others standing nearby turned in horror toward the back of the grassy knoll where it seemed the sounds had originated. Puffs of white smoke still hung in the air in small patches. But no one was visible. Turning back to the street, now terribly frightened, I suddenly realized the president was no longer sitting up in the seat waving to the crowd. He was slumped over toward his wife, whose facial expression left no doubt as to what had occurred. The motorcade was beginning to gain speed and soon passed under the railroad trestle headed for its eventual destination, Parkland Hospital. It was an impressionable teenage girl who watched the assassination of a president, but today, 20 years later, it is still as clear in my mind as if it happened this morning. One moment they were laughing and waving. The next moment, both men were slumped over and pandemonium reigned. As the months passed, following the shootings of first Kennedy, then Oswald and then the deaths of Ruby and others, I tried to maintain the faith with my government. 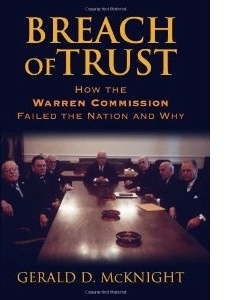 I have read the Warren Commission Report in its entirety and dozens of other books as well. I am sorry to say that the only thing I am absolutely sure of today is that at least two of the shots fired that day in Dealey Plaza came from behind where I stood on the knoll, not from the book depository. I can’t accuse the government of hiding the truth or lying about the assassination, because no matter what I may personally believe, I have no proof. But that day in Dallas and those that followed left their mark and I have never quite had the same faith and trust in those that lead us as I did before. And were you able to form an opinion as to the source of the sound or what direction it came from, I mean? The sounds came either from up against the School Depository Building or near the mouth of the triple underpass. Were you able to tell which? Now, were there any people standing on the high side — high ground between your tower and where Elm Street goes down under the underpass toward the mouth of the underpass? Directly in line, towards the mouth of the underpass, there were two men. One man, middle–aged, or slightly older, fairly heavy–set, in a white shirt, fairly dark trousers. Another younger man, about midtwenties, in either a plaid shirt or plaid coat or jacket. Were they standing together or standing separately? They were standing within 10 or 15 feet of each other, and gave no appearance of being together, as far as I knew. In what direction were they facing? They were facing and looking up towards Main and Houston, and following the caravan as it came down. Did you see any activity in this high ground above Elm after the shot? When you said there was a commotion, what do you mean by that? What did it look like to you when you were looking at the commotion? I just am unable to describe rather than it was something out of the ordinary, a sort of milling around, but something occurred in this particular spot which was out of the ordinary, which attracted my eye for some reason, which I could not identify. Afterwards did a good many people come up there on this high ground at the tower? And so Joseph Ball changed the subject. Bowers did not supply explicit evidence to the authorities of gunshots from the grassy knoll, but his credible account of two men standing by the fence, and of a ‘commotion’ at the time of the shooting, surely makes him one of the most intriguing eye–witnesses to the assassination. At the time of the shooting, in the vicinity of where the two men I have described were, there was a flash of light or, as far as I am concerned, something I could not identify, but there was something which occurred which caught my eye in this immediate area on the embankment. Now, what this was, I could not state at that time and at the time I could not identify it, other than there was some unusual occurrence — a flash of light or smoke or something which caused me to feel like something out of the ordinary had occurred there. Ed Hoffman, who was deaf, was standing on Stemmons Freeway, about 200 yards to the west of Dealey Plaza. He claimed to have seen two men in the railway yard behind the fence on the grassy knoll, followed by a puff of smoke among the trees, and finally one of the men passing a rifle to the other, who disassembled it, packed it in a bag, and made his escape while the first man went back to the fence. Ed Hoffman with Ron Friedrich, Eye Witness , JFK Lancer, 1997. Ron Friedrich, ‘Ed Hoffman’s Changing Story,’ Kennedy Assassination Chronicles , vol.1 issue 2, pp.31f, which argues that the apparent inconsistencies in Hoffman’s story are due to his interviewers’ unfamiliarity with American Sign Language. M. Duke Lane, ‘Freeway Man’, which argues strongly that Hoffman’s story was largely invented, albeit for understandable reasons. 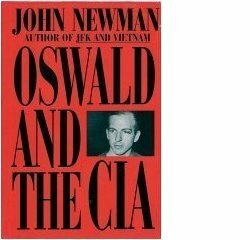 Memo: Was Oswald an FBI Agent? The most complete online record of witnesses in Dealey Plaza is that compiled by Stewart Galanor. It can be found at: http://www.history-matters.com/analysis/witness/index.htm. HSCA Report , appendix vol.2, p.122 (Knoll 20, TSBD 48). John McAdams, http://mcadams.posc.mu.edu/shots.htm (Knoll 34, TSBD 56).